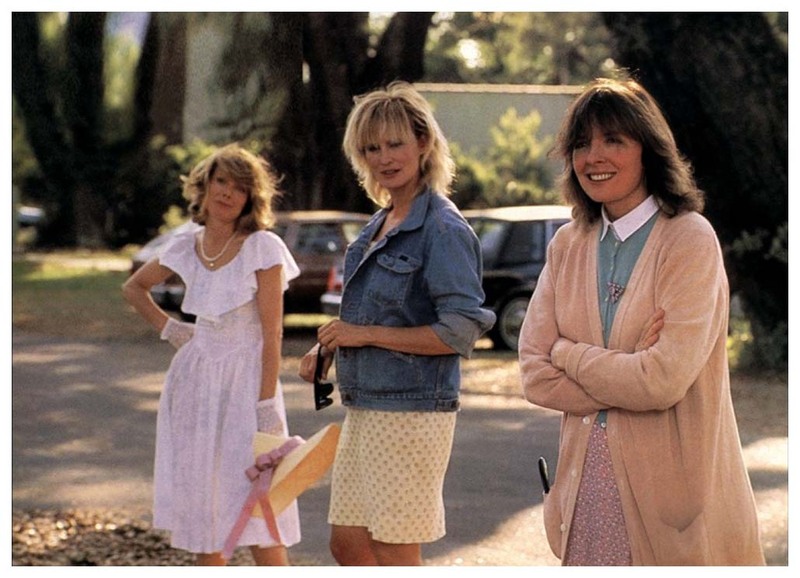 At the core of the tragic comedy are the three MaGrath sisters, Meg, Babe, and Lenny, who reunite at Old Granddaddy's home in Hazlehurst, Mississippi after Babe shoots her abusive husband. The trio was raised in a dysfunctional family with a penchant for ugly predicaments and each has endured her share of hardship and misery. Past resentments bubble to the surface as they're forced to deal with assorted relatives and past relationships while coping with the latest incident that has disrupted their lives. 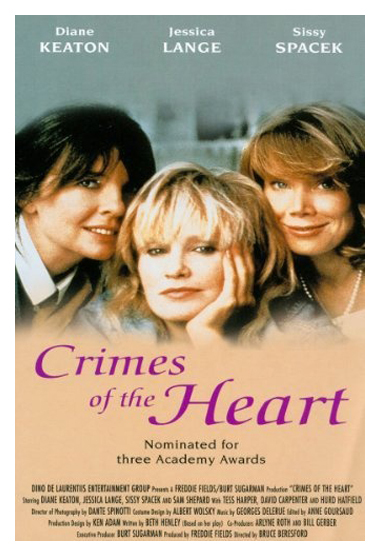 Each sister is forced to face the consequences of the "crimes of the heart" she has committed. 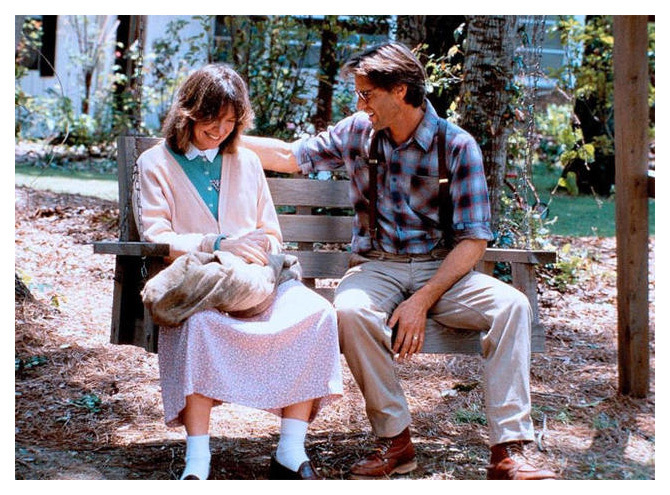 Based on the Pultizer Prize-winning play, the story is set in Hazlehurst, Mississippi, but was filmed around Southport, south of Wilmington on North Carolina’s south coast. 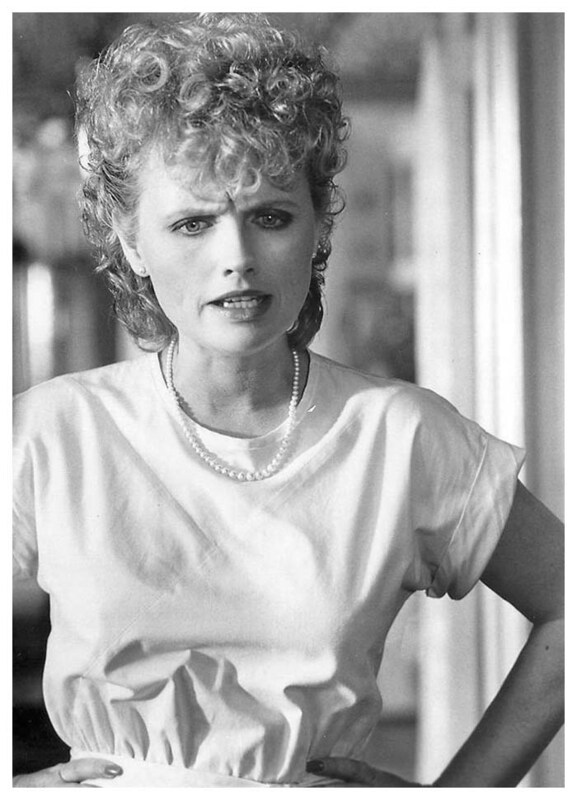 It was shot between May and July 1986. Jessica and Sam rented a place nearby with their baby daughter Hannah and Jessica's 5-year-old daughter Shura, fathered by Mikhail Baryshnikov. An international crew was assembled for the $9 million picture: Italian cameramen brought over by studio head Dino De Laurentiis, who will distribute the film; an Australian director, and a French film editor. Old Granddaddy's house, where many scenes were filmed, was a simple frame structure, abandoned for eight years before the filmmakers bought it and added a reported $200,000 worth of gingerbread, porches, a battered weathervane, two turrets, lavender-and-yellow stained-glass windows. Set dressers faded the Oriental carpets and repainted the exterior, then gave the house a lonely, weatherbeaten air. Among the supporting players, Sam Shepard stands out as Meg's slow-talking, snaggle-toothed and downright irresistible old beau... 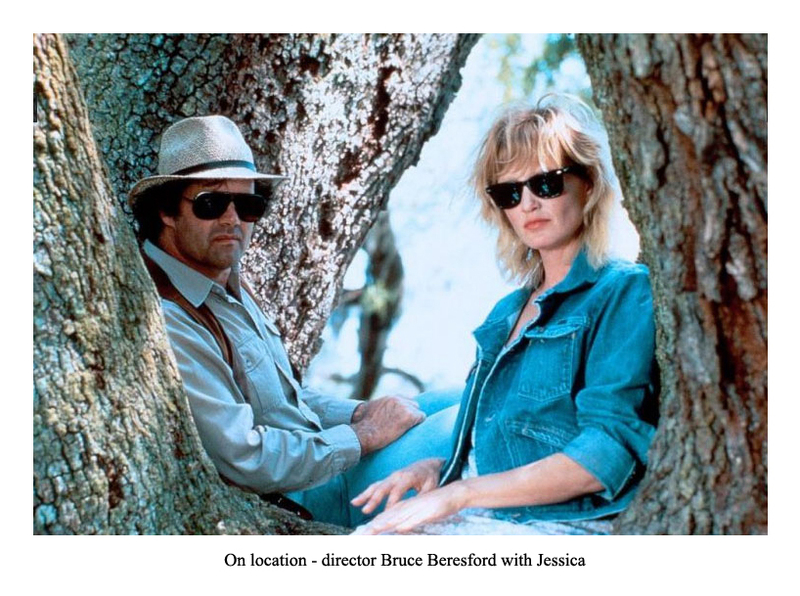 The powerhouse performances are directed by Bruce Beresford, who maintains balance among the actresses and keeps a lovely tone and smooth pace. 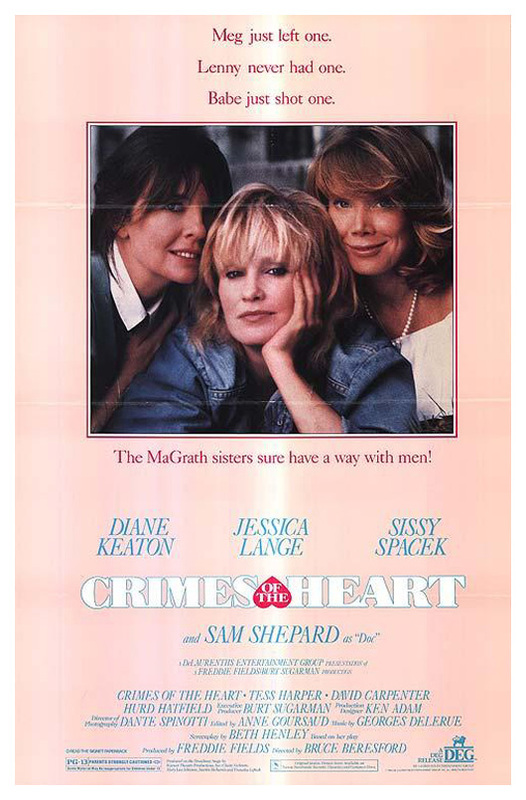 A fine Sam Shepard... Director Bruce Beresfordand the spectacular cinematographer Dante Spinotti have lent "Crimes of the Heart" a style that is always appropriate, often ingeniously so. Spinotti's light re-creates the Mississippi heat without ever becoming bland or bleached out, and Beresford frequently keeps you at a daring distance, using production designer Ken Adam's architecture as a kind of proscenium arch. 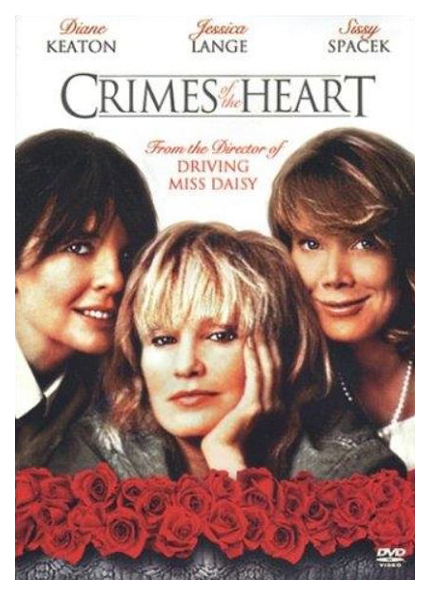 The three actresses who star in the movie version--Diane Keaton, Jessica Lange, and Sissy Spacek--bring it such overflowing wit and radiance that they waft it up high. 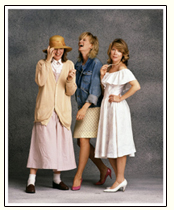 The play is thin, but the actresses put so much faith in their roles that they carry the movie, triumphantly. 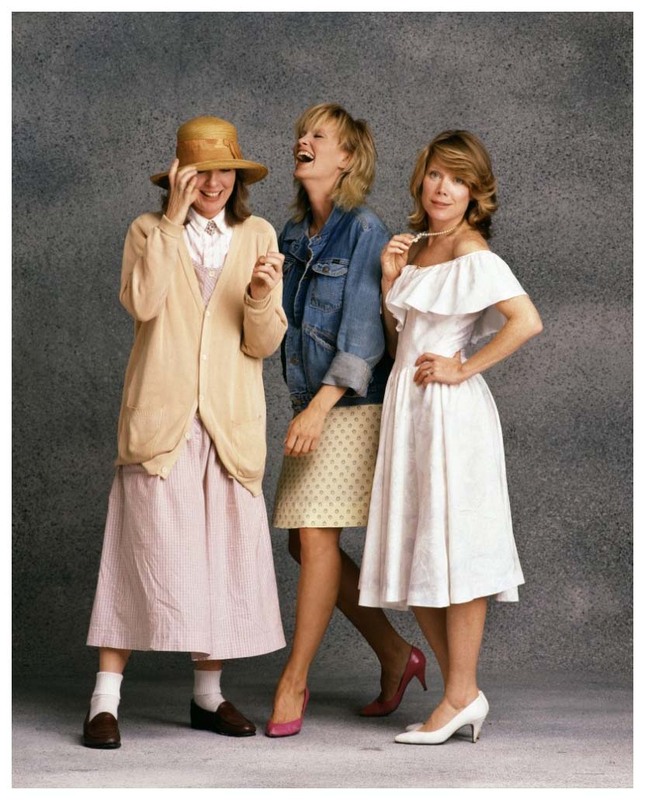 Keaton, Lange and Spacek are all in absolutely top form here, creating three lovably looney sisters, competitive yet mutually supportive in the way that sisters are. 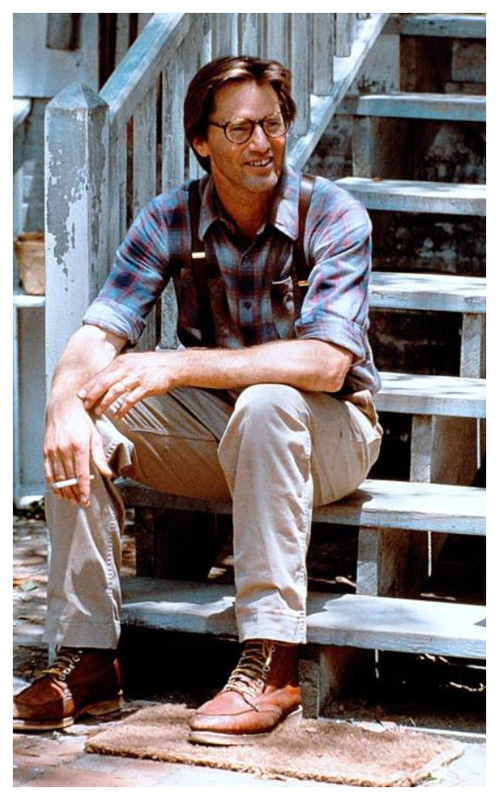 Sam Shepard does a delightfully Dennis Weaver-ish turn as Lange's former flame. 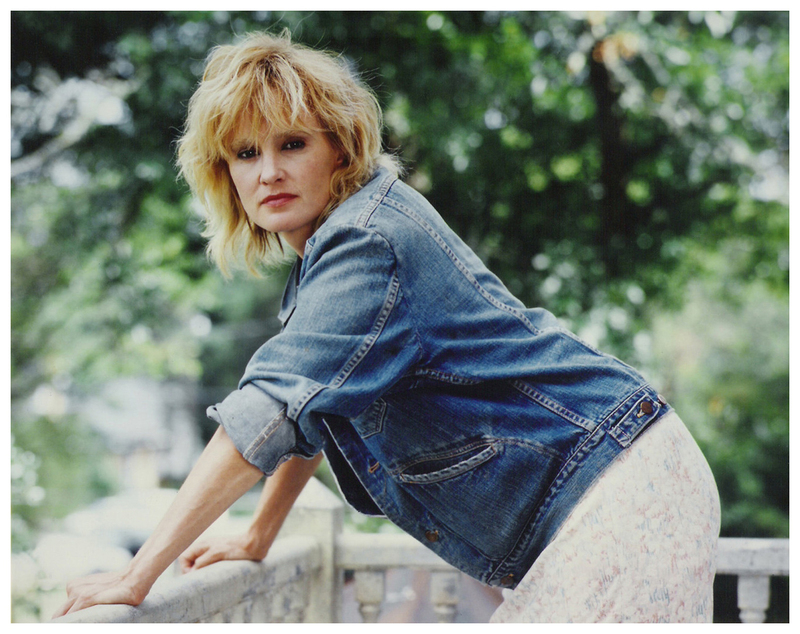 Tess Harper is equally good as the sharp-tongued cousin. Shepard, wearing glasses and playing sort of an "aw shucks" doofuss, is entirely adequate to the role. 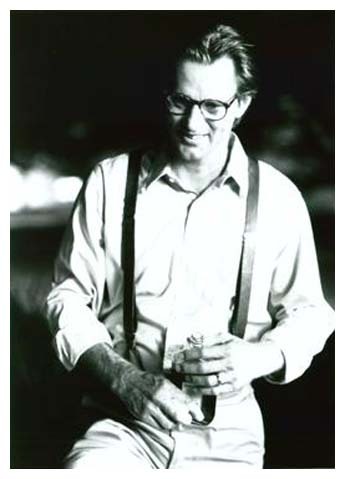 Sam Shepard, who plays Meg's one-time suitor, and David Carpenter, as Babe's deceptively shrewd defense attorney are excellent. 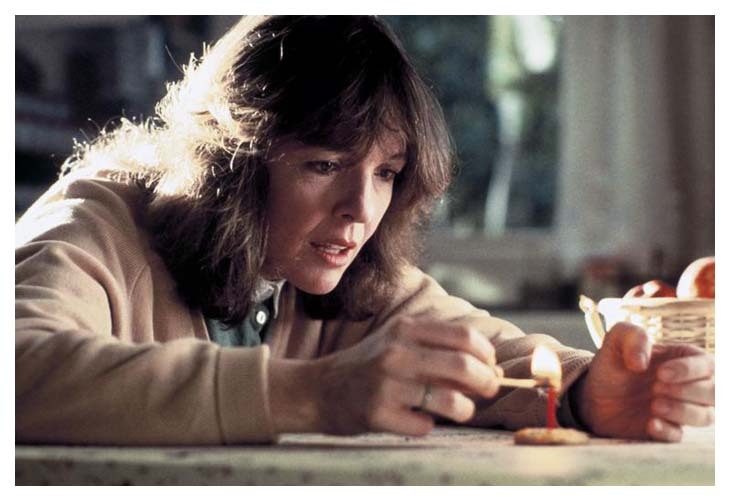 Bruce Beresford’s direction within the house is graceful, effortlessly following the action from room to room. 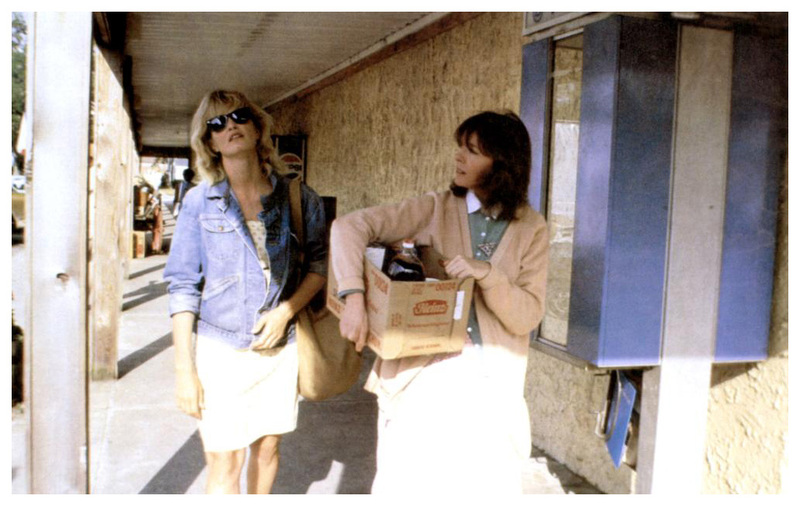 Sam Shepard notches a strong performance in the relatively small part of Doc, and Tess Harper shows her ability as a comic actress in the role of neighbor/relative Chick. 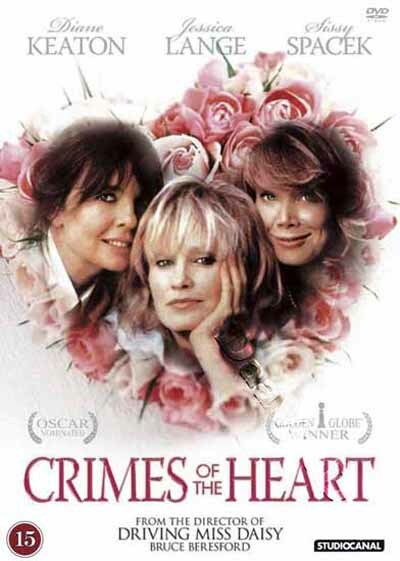 Stagey melodrama, but Beresford moves the camera well, Dante Spinotti's cinematography is beautiful, and the actresses rise to the occasion with three fine performances. Shepard and Tess Harper are impressive in smaller roles. 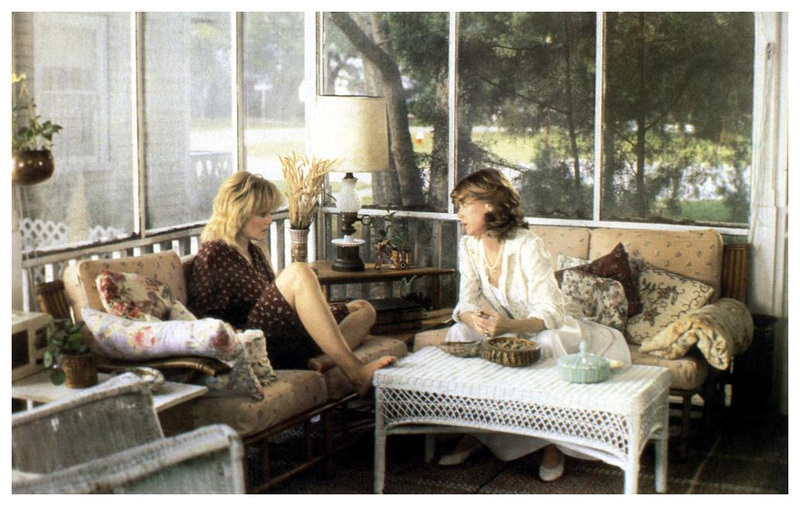 Both Spacek and Lange give wonderful performances as damaged sisters coping in their own dysfunctional ways. 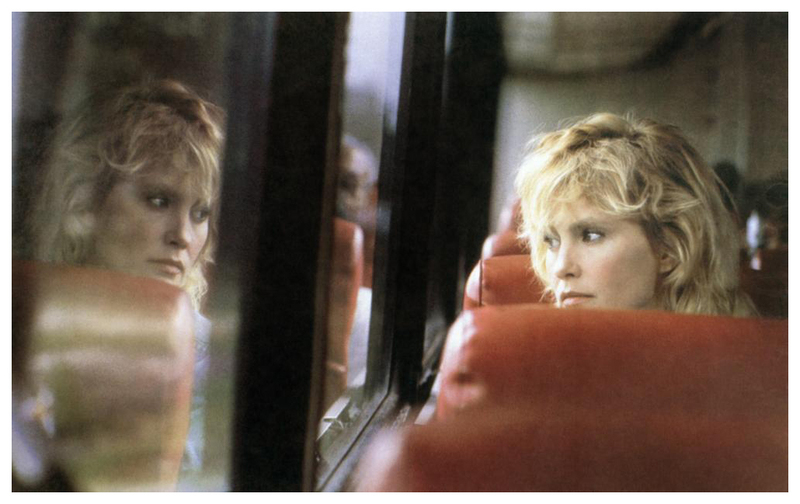 Keaton, unfortunately, fares much worse... Sam Shepard and Tess Harper (the latter nominated for a Best Supporting Actress Oscar) are fine in minor roles, but don’t have enough screentime to make much of an impression. Symptomatically, it is only when Meg and her old flame (Shepard) take off to the bayou that the movie starts to sing. Elsewhere, Beresford fails to generate sufficient chemistry to bind the performances. Occasional bursts of delicious tragic humour nevertheless make this a not unlikeable 'feminist' mood piece. 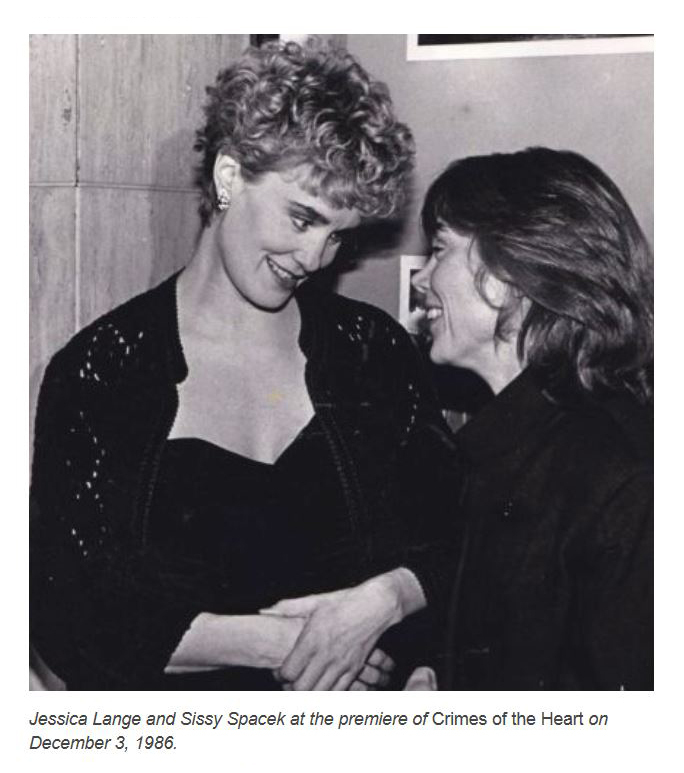 "Crimes of the Heart" is that most delicate of undertakings: a comedy about serious matters. It exists somewhere between parody and melodrama, between the tragic and the goofy. There are moments when the movie doesn't seem to know where it's going, but for once that's a good thing because the uncertainty almost always ends with some kind of a delightful, weird surprise. Beth Henley's play is translated into film and the result, while too reliant on its theatrical origins is still entertaining. 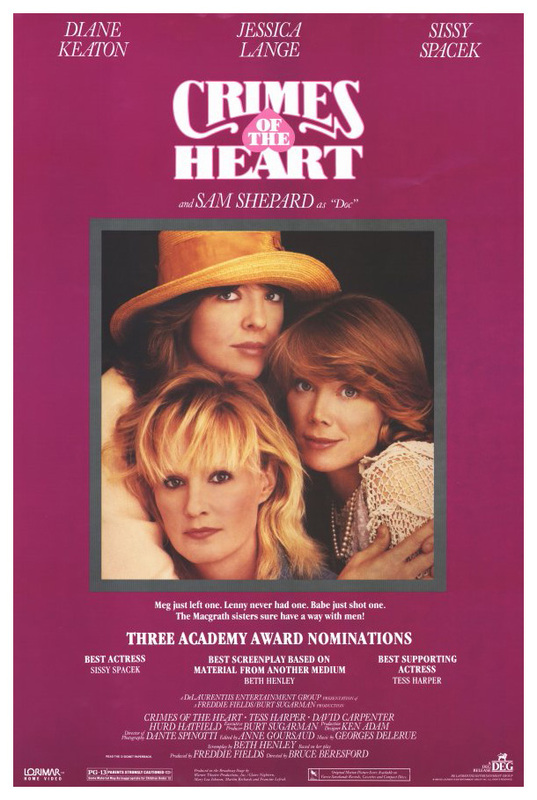 Largely this is to do with Spacek's performance as the youngest of three eccentric Southern sisters... 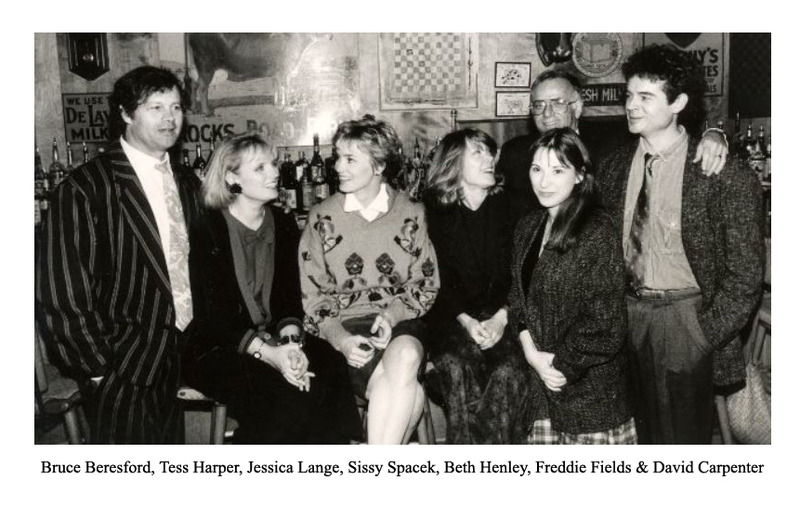 The snappy dialogue comes thick and fast, while Spacek and Harper revel in turns that landed them both Oscar nominations.